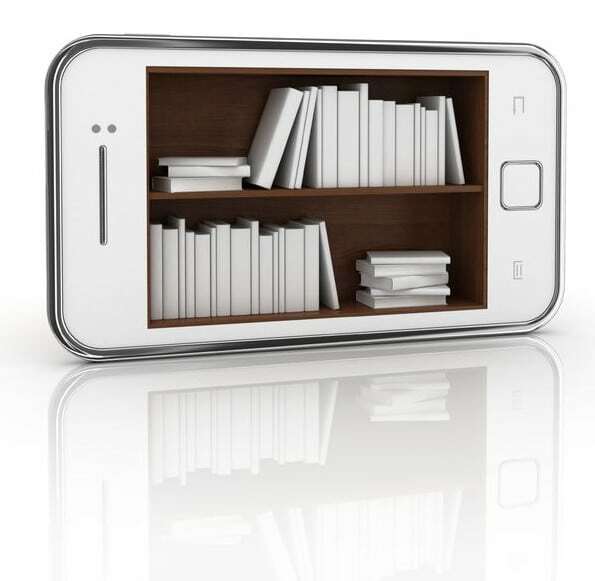 Have you ever wondered why the clutter that comes from paper and information (a.k.a. digital data or virtual paperwork) clutter seems so much more stressful than all the other types of clutter or disorganization in our lives? You see, while those stacks of papers piling up on the counter might be unsightly, and the 427 unread emails in your inbox might feel overwhelming, the reality is that in one fell swoop they could both be gone. All you’d really have to do is grab the whole stack of paper and throw it in the recycling bin, or check the “select all” box in your email and move all those messages to the trash, and you’d be done. Problem solved. 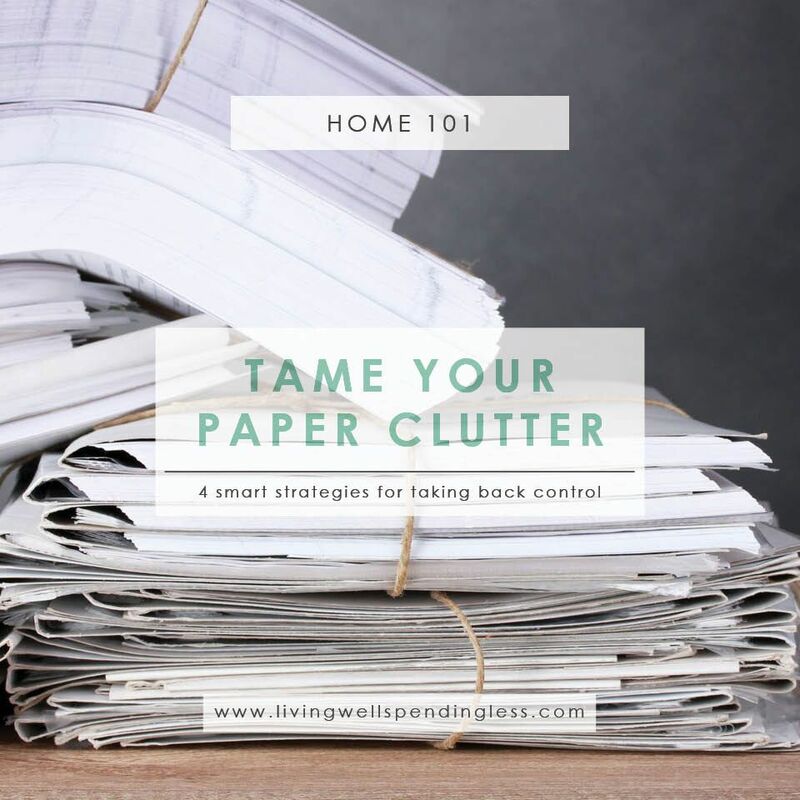 The reality is that information clutter is different than other types of clutter because it is not actually the stack of paper that is causing the stress, but the obligation that gets attached to it. Each piece of paper, each email, requires some sort of action or decision on our part. Our paperwork problem is really more of a procrastination problem. 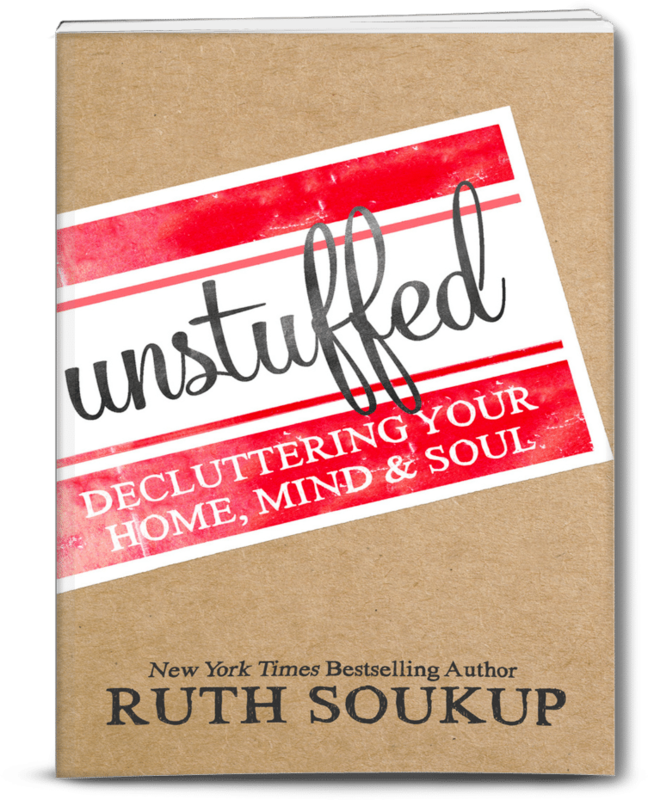 This is a subject I tackle in depth in my new book Unstuffed, because it is one that I have certainly had to deal with–and continue to face–in my life. Because let’s face it–paper is everywhere! So what’s the solution? How do take back our lives from this sea of information that threatens to wash us away? 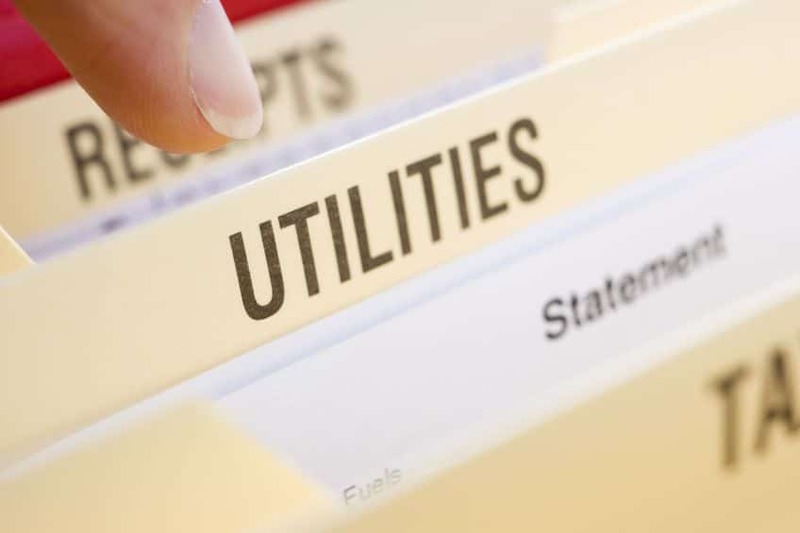 We often try to flight the flow of paper clutter by going “paperless,” so we sign up for electronic billing and correspondence whenever possible. Unfortunately, while this reduces physical paper clutter, it creates a slew of electronic documents we have to also be responsible for. If you’re like me, your desktop, documents folder and inbox always feel like they’re overflowing. We live in a day and age where information and data is constantly produced and exponentially growing. Take photographs, for instance. Over the past few years, the number of photographs taken has grown to a trillion in 2015. We will hit 1.7 trillion by 2017, and it just keeps on growing. That’s an unimaginable number of photos. With digital photography, there’s no reason to discard photos or wait for just the right moment. Unfortunately, this means our photo collections can be almost impossible to organize or do anything with. Do you remember a few years ago, when scrapbooking was all the rage? People spent time, money and energy creating beautiful photography books, but the trend ended up declining, as people had more and more photos, because parceling them down to just the “best of” became more challenging. So, how do we get this data and paper clutter under control? 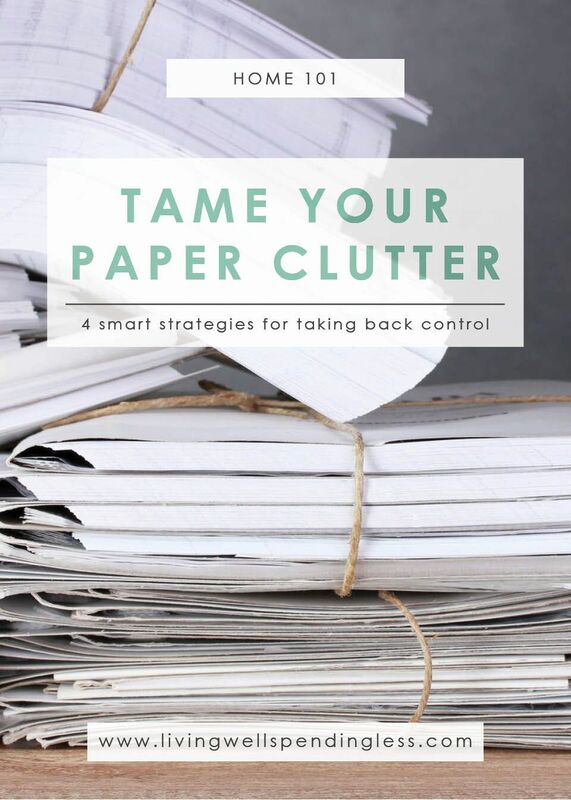 Well, the first step is in having a solid plan and system for heading off clutter before it even begins to infiltrate your home. As much as I would love to just dump all that paper in the bin, it does contain important, albeit overwhelming, pieces of information. Just as with any form of clutter, the main goal is to stop it before it even comes in the door. This means implementing a screening system to determine what to do with each piece of paper before it gets slung on the counter or piled on the coffee table. Fighting the flow also means that when you’re out at the store, don’t take the free weekly flyer at the checkout. Unsubscribe from catalogues and junk mail lists. Don’t sign up for weekly reminder emails or feeds from companies you aren’t interested in. Make a concerted effort to stop it before it comes in. When it comes to photography, consider keeping ONLY the best of the best photos. It can be a challenge to delete photos (especially of kids or babies) and I know every moment and action may seem precious, but preserve the memory and your sanity with one or two photos and delete the rest. If you have boxes of printed photos, archive the best ones by scanning them in, and again, discard what you aren’t going to enjoy. Old photos are a rare and therefore a more precious commodity, so you might have a difficult time parting with them, but narrow it down as much as you can. Another area requiring some discernment is kids’ work and art. My girls are very sensitive about their work being thrown away. We keep all of their best work in a special box in the closet. At the end of the school year, we go through the box and pare down to the very favorite pieces to be kept in a scrapbook. For artwork, we display it for a time and replace it in our “gallery” or we take a photo and keep a digital copy. It’s time to implement an information filtering system. This means creating some hard and fast rules you can stick to, to assess clutter when it comes in and quickly know what to do with it. So many of us have a pile of bills, mail, cards and envelopes we need to open and deal with. We toss everything on a desk, in a drawer or in some sort of inbox, and then when it finally overflows, we end up trying to make heads or tails of a pile of things we’re behind on. It becomes stressful and frustrating. By implementing a set of rules, dealing with the influx of stuff becomes much easier to deal with. Eventually, and with consistency, these rules become automatic habits, and the flow of data and papers will be much more manageable and easy to deal with. There’s a rule in business about touchpoints and how much handling the same piece of information can cost in terms of money and productivity when you don’t deal with it right away. Take heed of this advice. 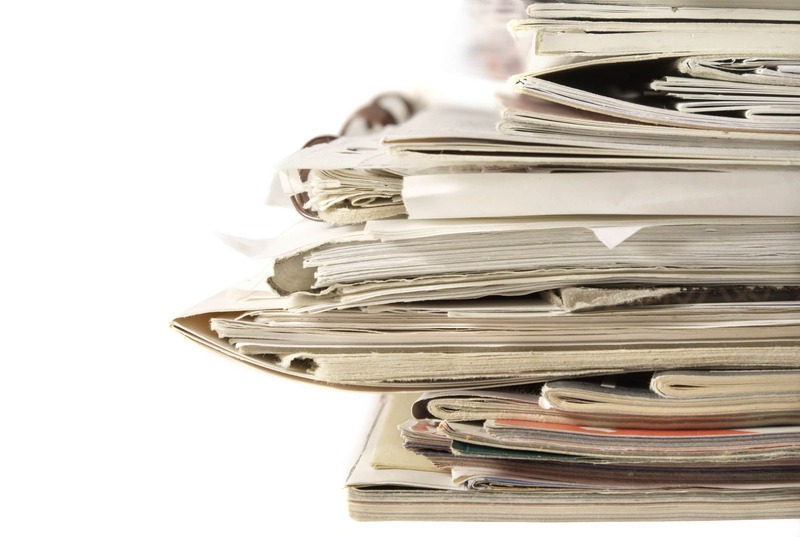 How much time are you wasting sorting through large paper piles every week? The best rule of thumb is to handle everything as little as possible. Deal with it right away or get it to where it needs to be as quickly as possible. If you have systems in place to deal with things the moment they hit your mailbox, you’ll be able to keep everything moving along smoothly. One of the best ways I’ve found to quell the flow of data is to set up “if-then” rules for paperwork and data clutter. For example, IF a piece of mail is junk THEN it goes right into the recycling bin. IF a permission slip is sent home from school THEN it gets signed right away and returned to the folder in the backpack. Here are a few examples of if-then rules I use, but you can of course modify them to fit your needs. IF a piece of mail is a bill to be paid, THEN it goes into the “to be paid” box on my desk, which is reviewed twice a month. IF a piece of mail is a statement that needs to be filed (and very few pieces of paper need to be physically filed), THEN it goes into the “to be filed” box on my desk, which is emptied twice a month. IF a piece of mail is a personal note or thank you card, THEN it gets opened, read, and then either saved in a keepsake box (if it’s something special) or recycled. IF an invitation is received, THEN it gets a decision and a response immediately. IF the response is yes, THEN take a picture of the invite and add it to your calendar and discard. IF the response is no, THEN throw it away and move on. IF the school sends home a note or menu to be signed, THEN it gets signed immediately and sent back to school. IF my kids bring home a test or other work to show me, THEN it gets looked at, commented on, and added to the schoolwork bin in their closet, which gets sorted and emptied at the end of the school year. IF my kids bring home a new piece of artwork, THEN it gets hung in their room or in our gallery until they bring in something new, at which point it gets added to the schoolwork bin in their closet. IF I get spam or junk email I don’t want, THEN I will take a second to unsubscribe so I don’t get any more. 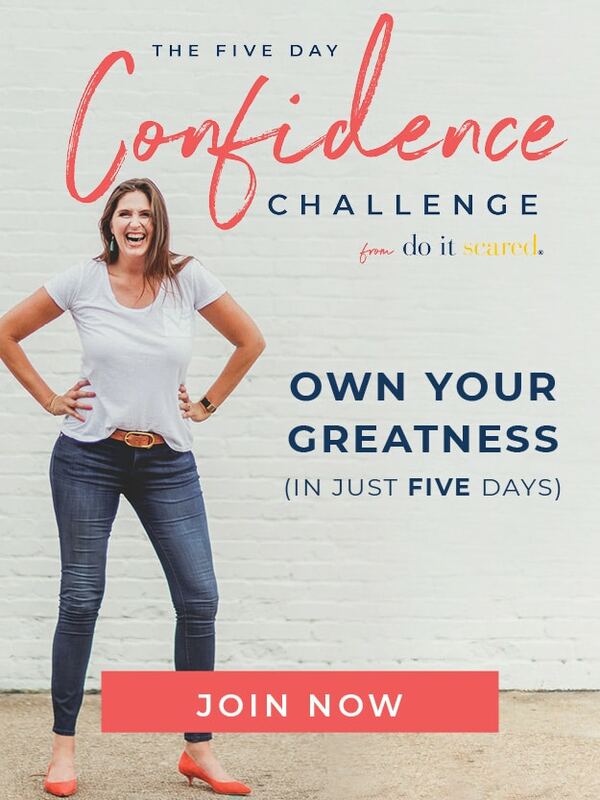 IF I get a chain email, THEN I will immediately delete it. IF I get an email needing a response, THEN I will respond as quickly as possible with as brief a response as possible, using a canned response if possible. IF I get an email that doesn’t need a response, THEN I will archive it, and move on. IF I get an email requiring a more in-depth response, THEN I will add the item to my calendar to be addressed, and keep the item in my Inbox folder, which I clean out once a week. IF I get a text message while I’m busy, THEN I will respond during my next break. IF a text message requires more than three lines to respond, THEN I will simply pick up the phone and make a call. IF I get a Facebook message, THEN I will send a canned response requesting an email instead. IF I’m reading an article and want to remember something, THEN I take a photo of it (paper) or add it to my “to be read” list (electronic), which I review once a week. IF I take photos, THEN I will immediately delete all but the very best. IF my computer desktop gets messy, THEN I will take a few minutes to drag and drop my files into appropriate folders. IF I need to save a document I’m working on, THEN I will put it into the appropriate location on my computer. With these rules, my response to paperwork and data clutter have become automatic, so I don’t have to think about each bit case by case. I know when an item comes across my path, there’s already a plan for it—and it is SUCH a relief! My if-then rules ensure paperwork and digital docs don’t sit around in piles, untouched, or hang over my head, needing to be addressed. This system also works very well with my husband and daughters. My girls know exactly where their paperwork is going to go when they get home, and they know what they need to do with it. 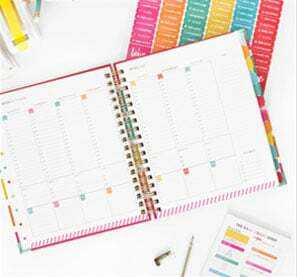 Likewise, it eliminates their anxiety about getting permission slips signed and remembering to “remind Mom” about upcoming events and to-dos. They just make sure everything goes in their folder and they know it will be dealt with right away. 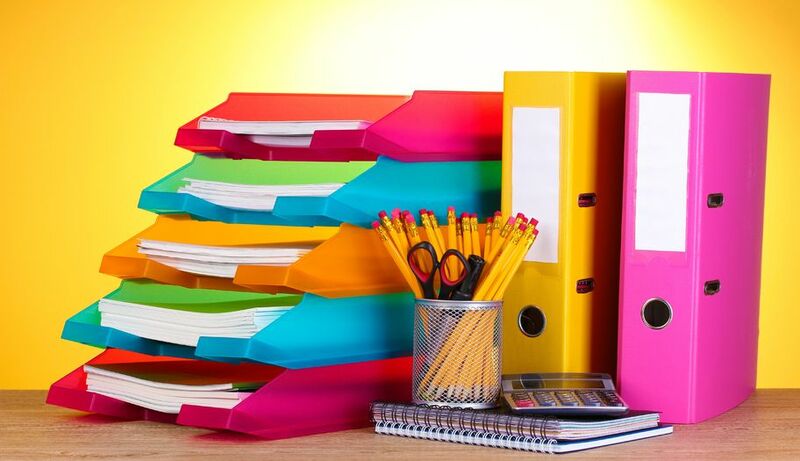 With a plan in place and a few rules, you can keep the flow of paperwork and data clutter at bay! Thank you for your post. Thankssssssssss! Awesome post! The part that really resonates with me is the picture issue. I have been in “nesting” mode waiting for the arrival of our second little one, and going through pictures of our first baby is taking up all of my time! Groovebook helps, but you’re absolutely right about needing to push through and only keep a couple of pictures. Perfectly timed post! Ever since reading Unstuffed, I’ve been trying to set up If/ Then rules in my own life. My first mission is to set them up for the mail. I have no system! Sometimes I open bills and set them on the counter with the intention of paying, but then I forget about them. They get buried under the loads of additional paper that comes in! I’m definitely a work in progress. Oh the school work piles are what kill me. Everyday they come home with 5-10 papers, and since my daughter is in kindergarten, she feels they all. must. be. saved. forever. I’m constantly trying to be sneaky and throw stuff away without getting caught, but then there are hurt feelings when I do get caught. I love the idea of just throwing it all in a bin and then sorting through at the end of the year to only keep the best and favorites. I feel like it is keeping far more paper than I would like, but it should cut back on the hurt feelings and if it’s all in one place, out of sight, I don’t think it will be that big of deal. This is an extremely great system! I just recently started scanning documents and photos (it’s gonna take me a while) to eliminate paper clutter. I’ve also started scanning helpful book pages and uploading them to my google drive and google photos so they don’t take up space on my computer as well. Excellent tips, thanks Ruth – I am going to look at implementing these this weekend! I have the to be paid and to be filed in me home office. My biggest question, hoe long do I keep those paid papers once I’ve paid that bill? I love this post. Especially the if-then rules. Thank you. I have found Evernote to be a valuable tool in my digital organization. I scan and email receipts, grandchildren’s art work, important papers, insurance policies, etc. directly to Evernote. I also upload user guides for all of our products to a note that has a copy of the receipt for that product. I can access everything from my phone, iPad, and any computer since it is web-based. I also have my important notebooks downloaded to my devices just in case I need them in a place without wifi. The pile of bills is so, soo true but I’m working on NOT procrastinating with this kind of thing. I just purchased a few books that focus on overcoming procrastination and this is definitely one aspect I need to work on. This post hit on so many good points and I’m going to put what I learned into action. Thanks for the great post and a wonderful site! I really am trying to get handle on paper clutter. Since I developed a system for the mail, I haven’t added much to my mountain of “to be filed” papers. But kids artwork and photos are a different story. I have about 15 years worth to go through! Thanks for sharing these tips!